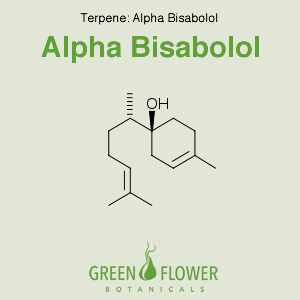 Alpha-bisabolol also known as levomenol, is a natural monocyclic sesquiterpene with a mild, floral, peppery odor. It has also been used for hundreds of years in cosmetics because of its perceived skin healing properties. Bisabolol has been effective at blocking the effects of mutagens on genetic integrity in liver cells. Bisabolol has also exhibited strong effects on Campylobacter which are involved in severe food poisoning. Furthermore, bisabolol has been associated with pain relief and neuroprotection, with possible uses in Parkinson’s and Alzheimer’s. The mutagenic effects of mutagens AFB1, CP, B[a]P, 2-AA and 2-AF were shown to be markedly reduced by alpha-bisabolol. Alpha-bisabolol also inhibited pentoxyresorufin-o-depentylase and ethoxyresorufin-o-deethylase, which are markers for cytochromes CYP2B1 and 1A1 in rat liver microsomes. Since CYP2B1 converts AFB1 and CP into mutagenic metabolites, and CYP1A1 activates B[a]P, 2-AA and 2-AF, the study suggest that alpha-bisabolol antimutagenicity could be carried out by an inhibitory effect on the metabolic liver activation of these promutagens. Alpha-bisabolol was found to have strong antimicrobial activity against Campylobacter spp. with inhibitory concentrations in the range 0.001-1% (v/v). There was strong anti-Campylobacter activity achieved without adversely affecting the fermentation potential of the model system’s normal flora. The effect of bisabolol on the function of nicotinic acetylcholine receptor (nAChR) in Xenopus oocytes and interneurons of rat hippocampal slices was evaluated.  It was found that bisabolol reversibly and concentration dependently inhibits acetylcholine-induced receptor mediated currents. The effect of bisabolol was not dependent on the membrane potential. Endogenous Ca(2+)-dependent Cl channels were not associated in bisabolol actions. Increasing the concentrations of ACh did not reverse bisabolol inhibition. Furthermore, the specific binding of bungarotoxin was not attenuated by bisabolol. Choline-induced currents in CA1 interneurons of rat hippocampal slices were also inhibited. These positive outcomes can help in protecting specific neurons and fighting against alzheimer’s and parkinson’s.